Hey! My name is Valentino Urbano and in March I quit my full-time job to freelance on my own. In my spare time, I make products. Late last month I realized that I didn't ship anything in a long time. Freelancing keeps me pretty busy between finding clients and actually doing the work. On top of that, I also try to spend some time with my spouse. The result: I had little time left for side projects. So, I decided that I should put something out there. And that I should do it soon. I wouldn't have thought that I would put out a Mac app in less than a week from then. The main struggle as a Dev/maker is delivering without moving on to the next, better idea. And putting yourself out there. We should all try to do it more and focus on an MVP without getting distracted with shiny new features. Those can always be added later. Just ship. I was working in Premiere, editing a video I recorded for a client's app. The video was coming out good, but damn my desktop looked terrible. I keep my Mac pretty organized, but even the 3 icons I had there were so distracting. That's when a thought occurred to me: what if I made a tiny app that just hides them and that's it? I could just use a terminal command, but I wanted to do it quickly and easily from the menu bar. I created a simple app that did just that, but something was still off. What if I could do better than that? What if I could also hide the dock and the menu bar. Just have the desktop and the app I'm covering, nothing else. That would actually look neat! So I did it and the result was great. 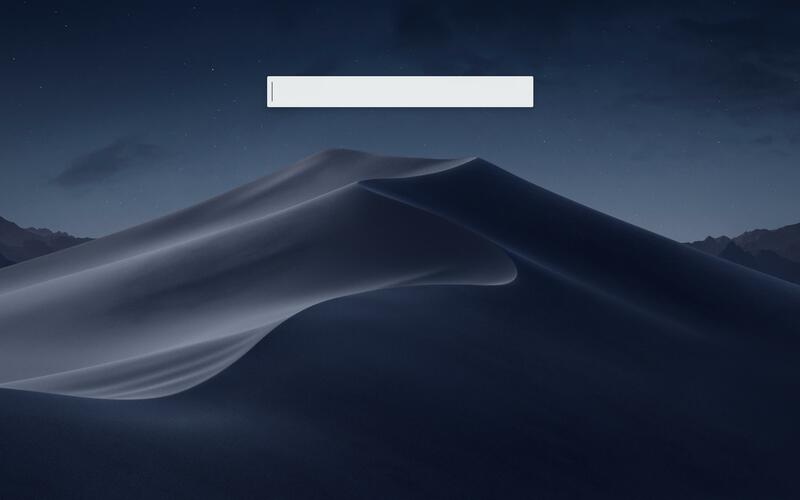 It sets autohide on for both the menubar and the dock, this way, if I needed to turn everything back as before I can just go back to the menu bar and flick it off. I thought that was it. I put it on my site, hoping that someone else would find it as useful as I did. It was just later that evening that it occurred to me that I could also post it on Product Hunt and see how it would go. Not even a few hours since I posted Ryan Hoover upvoted it. I posted the link on Product Hunt Makers section and someone helpfully scheduled the post for the day after. I replied to everyone and went to sleep. I was astonished. I quickly submitted the app to IndieHackers, Slack Groups, Product Hunt, Twitter, dev.to and more. This is the first product that I ever marketed at all. In the end, I spent 4x more time marketing it than actually making it. I thought the marketing part would just be boring and tedious, I'm a developer after all. It was not. You shouldn't go into it blind. Have some guidelines. How to launch on Product Hunt was a great place to start for me. The community I found is fantastic, everyone has been great. I'm so glad so many people loved the app, and even the "complaints" were all very constructive and on point. I actually updated the landing page multiple times thanks to issues raised by people in the comments. 💥 Got a lot of support, honestly didn't expect it for something that took less than an hour to make. The community is just great! Don't think you can't do it. No one has it all figured out. Put yourself out there. Make yourself accountable by sharing what you're doing. Have reasonable goals. Make sure you have your feature list for your MVP and don't add any (too many) new features. You can always add them later. Don't think that coding is the whole thing. You need to market or you won't succeed. 1. I surely forgot someone, sorry. Let me know and I'll add you. Looking for the best tools and solutions for your Startup? Check out StartupResources.io for categorized lists of the best tools, with categories like A/B Testing, Social Media tools, Growth Hacking, Pre-Launch Traction, and Espionage. In addition to the blog, there is lots more to read in our weekly newsletter issues. Interested in guest posting here? Have a case study or an article to share? email me and tell me your ideas.